Why should I choose Advanced Affordable Hearing? Being in business for over 26 years has taught us that customers like you come first. We are genuinely trying to help you overcome any hearing loss issues that you may have and save you money in the process. We understand that when you are shopping for top quality, digital hearing aids, there is a lot of competition and that price is an important consideration. Generally speaking, local hearing centers tend to inflate their prices several times over their original cost, so that they can cover overhead and other miscellaneous costs while still maintaining huge profit margins. They do this by offering extra or additional services that are often unnecessary. At Advanced Affordable Hearing, we do not feel this is best for the customer because our goal is to help people hear better AND save money in the process. As a result, your hearing aids come to you at a cost you can afford. That is our promise to you and we are confident that our hearing aids will help improve your hearing loss. What is Advanced Affordable Hearing's Return Policy? At Advanced Affordable Hearing, providing complete customer satisfaction is our top priority. We strive to ensure that your experience when purchasing from us, whether it is online, on the phone or via email, will always be a positive one. We are happy to provide you with a Risk-Free 30-day Trial to try our products to see if they can help you. However, it's important to note that we only offer a full 30-day money-back guarantee once the items have been returned to us complete and undamaged. In addition to the hearing aids themselves, we ask that you include the packaging and all other items included in the original package you received undamaged. Please note that there are a few items that are non-refundable. These are identified as such in their description on their product pages. Your 30-day trial period begins on the date that your products arrive in the mail based on USPS tracking information we receive from USPS. Shipping and handling charges are non-refundable. Therefore, your refund will be for the total order amount less shipping charges. Also, unlike most online retailers and local providers, we do not charge any restocking fees (as long as the merchandise is returned complete and undamaged). Please contact us for a Return Merchandise Authorization or if you have any question regarding our return policy. At Advanced Affordable Hearing, we are committed to making the order process hassle-free, convenient, and fast. It takes only a few minutes to place your order whether you choose to do it yourself using our easy, intuitive website OR by calling 1 (800) 804-0434 and speaking to our friendly, knowledgable team of customer support representatives waiting to help you hear better. For your convenience, we also offer email support or online chat to help get you started. 1-2-3-4 .... it's that simple and you are on your way to hearing more clearly. If you run into problems or have questions along the way, our friendly staff is available Monday through Friday from 7:00am - 5:00pm Mountain Standard Time to provide their assistance. We accept wide range of safe, simple online payment options through our secure server including all major credit and debit cards and Paypal. Additionally, we also accept check and money order payments. Please contact us at support@advancedaffordablehearing.com (or call us at 1 (800) 804-0434) for complete details regarding ordering and non-credit card payments. We also accept CareCredit as a payment form. However, to do this, customers must call or email us to place their order because there is not an automated process on our website to complete CareCredit orders. NOTE: CareCredit is a healthcare credit card designed for your health, beauty, and wellness needs. It's a way to pay for the costs of many treatments and procedures and allows you to make convenient monthly payments. To use CareCredit, you must set up your CareCredit account prior to placing an order with us. For more information, visit CareCredit's website. Can I pay in installments instead of making a one-time payment? Yes, you can. However, the installation agreement will not be directly through Advanced Affordable Hearing. Our customers have the freedom to use Paypal Credit, which is nearly identical to a credit card. With this service, you are able to make payments to Paypal in monthly installments. To take advantage of this option, you must have a credit line established with Paypal PRIOR to completing your purchase with Advanced Affordable Hearing. To learn more, visit PayPal's website. Does Advanced Affordable Hearing accept payment by insurance? Unfortunately, at this time, we do not accept insurance. However, we will work with you and provide any appropriate paperwork that you may require if your insurance company will reimburse you for the purchase. To do this, you would need to contact your insurance company first and make sure that they would accept an out-of-network claim. Having said that, based on our low prices and quality digital hearing aid products, we may still be your best choice when compared to the out-of-pocket cost required for higher priced hearing aids that may be only partially covered by your insurance through other suppliers. Most orders of in-stock items will be processed and shipped within 1 to 3 business days. Our normal business days are Monday - Friday, excluding holidays. For shipments within the United States, we ship via USPS. Once we receive your payment, we pull the items for your order together, inspect them, and then package them for shipping. Our goal is to guarantee 100% customer satisfaction, and the extra effort we provide allows us to make sure that happens. Please note: Since we cannot process your order until we have received payment, if you are paying by check or money order, you should mail your check as soon as possible with your order number written on it. Once we receive it, we will proceed with preparing your order for shipping. We reserve the right to cancel your order if your check/money order payment is not received within 30 days. 2-7 day First Class shipping for a flat rate of $4.00 USD. Please note that there are several countries outside of the United States and Canada that we do not currently ship to. If the country you are shipping to does not appear in the Country drop-down menu on the Shipping Information portion of the checkout process, then we do not ship to that country and we will be unable to process your order. All of our orders, both domestic and international, are shipped via the United States Postal Service (USPS). The standard and least expensive option for domestic orders is First Class. Expected delivery time is between 2 to 7 business days after we have processed your order. There is an option for upgraded Express shipping for an additional charge. Typical shipping time for Express deliveries is 1-2 business days after order processing. For international orders that include hearing aids, the standard delivery option is Priority. The expected delivery time after processing is 6-10 business days. For non-hearing orders ONLY a lower cost First Class option is available as well. In both cases, if faster delivery is required, there is also an Express shipping option available for an additional charge. PLEASE NOTE: On International orders, the expected delivery time is often delayed due to customs regulations that are beyond our control. Will there be a customs fee added to my international order? Advanced Affordable Hearing DOES NOT charge a custom fee! However, certain countries outside of the United States DO charge additional fees, such as customs fees and independent carrier fees. These fees are out of our control, so we encourage you to please contact your local branch office of the Postal Service or customs office to find out what kind of fees you can expect based upon the type of products you wish to order. Yes! We love our neighbors to the north! If I need to return an item, what should I do? Step 1: Contact Advanced Affordable Hearing. Before sending items to us for return, we highly encourage you to contact us and provide us with the reason for your return. Oftentimes, through discussion we can help to correct any issues that may have arisen and contributed to the reason for a return (ie. something wasn't working correctly and we can troubleshoot over the telephone). If a return is warranted, please let us know if you would like an exchange or a payment refund. A Return Merchandise Authorization (RMA) Number will be assigned to you. This number is required to be included in your return correspondence to us. Step 2: Prepare your return. Repack all contents in their original packaging. For some purchases, this means you will need to include several individual items, so make certain that you return all items from the package received. Then, attach a return label to the outside of your package, concealing all original shipping labels. Please note that we do not provide return labels. Our return address is included in the original paperwork we sent to you with your order, either on the invoice or the return form. Attach your return label to outside of the package concealing all original shipping labels on the package you received. Insure the full value of the package you want to return. Acquire a tracking number for your package. Forward the package to our return address. Safely keep the packing slip with you until your return has been successfully processed. Please note that Advanced Affordable Hearing does not cover return shipping will and will not be held responsible for items that are lost or damaged in transit. If your original payment was made with a credit card, and you choose to get a refund, your credit card will be credited during processing. Due to the nature of processing credit card payments, the refund payment may not appear on your statement until after one or two billing cycles. How can I check the status of my returned items? Prior to us receiving your returned item, the tracking number that was provided to you by the carrier of your choice when you shipped the item back to us, is the only way that your package can be tracked. Once we receive your returned items, we will begin processing your refund/exchange in a timely fashion. If a refund is being made to your credit card, then we will initiate that refund directly with the bank or credit card that the order was made with. Due to the nature of processing credit card payments, the refund payment may not appear on your statement until after one or two billing cycles. If a refund is being issued by check, please allow 3-5 business days for us to process the refund, issue the check and send it back to your mailing address. Your refund will be sent via the USPS and delivery times may vary. If the item you are returning is being exchanged for another item, be sure to ask your customer service representative when the new items will be shipped. Generally speaking, we will need to receive the item being returned to us before the corresponding refund will be issued. This means that we need to receive it within the required 30-day return date and verify that it is undamaged and complete. This also means that if you are doing an exchange for a different product and have not yet returned the original to us, you will be charged in full for the new product. Then once we receive the product being returned, your refund will be issued. During this process, our customer service team can act as your point of contact. Where can I try the hearing aids? You can try them in the comfort of your own home. We ship them directly to you with a Risk Free, 30 day money back guarantee. Additionally, each hearing aid comes with a manufacturers warranty of either 6 months or 1 year depending on the specific hearing aid. This gives you the opportunity to experience whether or not the hearing aids you purchased are best suited for your hearing loss level. What are refurbished hearing aids? Refurbished hearing aids are pre-owned hearing aids reconditioned by the manufacturer to like-new working order and feature a nine-month repair warranty. Refurbished hearing aids are a great way to save a substantial amount over the cost of new hearing aids. I cannot login because I forgot my password. What should I do? Go to the Account login screen and click on the Forgot your password link. You will need to remember the username OR email address that was used to originally create your account. If you do not remember the username or email address, please call us at 1-888-570-2740 (or send an email to support@advancedaffordablehearing.com), so we can verify your identity and help retrieve your password. How do I know that I am getting the right hearing aid for me? First, we are available through phone or email from 7:00am to 5:00pm MST. We have a series of questions we ask to help us determine which hearing aids will work best for your specific circumstance. We also have a great Buyer's Guide that can help you find the proper devices and answer further questions. Finally, if you have a copy of a recent hearing test, you can fax or email it to us and our specialists will review it and tell you which hearing aids might work best for your hearing loss. You can also watch the video below to learn which Hear Clear hearing aid will best fit your need. How can I get help with my hearing aids after I buy them? We have trained technicians available for support Monday through Friday to help you with any questions you might have. Please call them at 1-888-570-2740. You can also visit our video page to watch instructional videos concerning your hearing aids. My hearing aids aren't working. What should I do? If you're having trouble getting your hearing aids to work, we encourage you to visit our Troubleshooting Guide. After trying the Troubleshooting Guide, if your hearing aids still don't work, our customer service representatives are happy to help. To get in touch, call 1 (888) 570-2740 or send an email to support@advancedaffordablehearing.com. What is an ear hook? 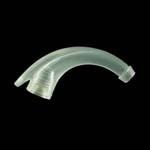 An ear hook is a clear plastic attachment to the hearing aid that couples the hearing aid to the tubing. If you ordered or received a Power Upgrade for your Hear Clear hearing aid, watch the video below to learn how to assemble your ear hook with the rest of your Power Upgrade. Which dome should I use? Watch the video below to learn more about the domes you can use with your Hear Clear hearing aids, and find the right one for you. To purchase new domes, click here. What type of batteries should I use? To determine what type of barries you will need for your hearing aids, simply visit your hearing aids’ Product Page. Below the Product Image, click on ‘Product Information,’ scroll down, and you should see the battery size for your hearing aid. For your convenience, we offer replacement batteries and battery chargers as well. For further assistance, view our video on how to replace your hearing aid batteries below. How often should I change my tubes and domes? They may be changed as often as you feel it's needed. However, we recommend changing them at least once every 3 months. Regular visual inspection can oftentimes extend the use or alert you if they need to be cleaned. For instructions on how to change your tubes and domes, watch the video below. How do I change my tubes and domes? Watch the video below to learn how to change and replace the tubes and domes on your Hear Clear hearing aids. To purchase new tubes and domes, click here. How often do hearing aids need to be cleaned? All of our digital hearing aids were designed for the user to easily clean them on their own. In order to receive optimal performance from your devices, we recommend a maintenance schedule that includes a frequent (almost daily) general wipedown with a cleaning swab dipped in alcohol. We also suggest cleaning the tubes and domes every 2 to 3 days with a cleaning filament. The process is simple and should only take a few minutes. However, it will help your hearing aids last longer and ensure they provide you with clear sound. While cleaning a hearing aid may take less than a minute, the cost of cleanings at a hearing center often costs $25 to $50. If it is advertised as “free,” it's likely that a large fee for service was added to the initial cost of the hearing aid purchase. If you would like for us to clean your hearing aids, please call us at 1-888-570-2740 to arrange the sending your hearing aids to us. Charges to have one aid professionally cleaned with new tube and dome is $20, or a pair for $25. Hearing Aid Cleaning prices include return shipping. How do I clean my hearing tubes? Watch the video below to learn how to clean your hearing tubes and remove any blockages, such as ear wax. How do I avoid whistling or feedback? All Advanced Affordable Hearing Aids are equipped with feedback reduction as well as noise reduction. That said, whistling is common with any hearing aids and there are simple steps one can take in order to reduce or eliminate it. First, make sure that your ears are completely free of wax. Next, find the proper sized (preferably closed or double closed) dome that will be comfortable but also create a seal in the ear canal. Then, make sure (with the dome flush into the ear canal) that the hearing aid is resting comfortably behind your ear. If it is resting on top, feedback is more likely and can be stopped just by replacing the tube with one that is longer. Finally, if the hearing aid is equipped with a 'trimpot' marked with an H, turn the trimpot counterclockwise until the whistling stops. If you have completed these steps and are still experiencing issues with feedback or whistling, we encourage you to contact our customer support team at 1-888-570-2740 so that we can further assist you. You may also consider watching the video below. How do I adjust my trimpots or trimmers? Several of our Hear Clear hearing aids have trimmers that can be adjusted to create a better listening experience. Please watch the video below for instructions on how to properly adjust them. Are these real hearing aids? Yes! Advanced Affordable Hearing only sells true FDA registered digital hearing aids. They are not sound amplifiers, hearing helpers, or the like. We only sell real hearing aids. To learn more about the different types of digital hearing aids we sell, watch the video below. Are these hearing aids analog or digital? Every hearing aid we sell is digital. Can I wear hearing aids with glasses or a nasal cannula? Yes, you can. For the best results, however, we recommend putting on your glasses and/or nasal cannula and hearing aids in a specific order. For a step-by-step guide, click here. Can I buy hearing aids for my parents? On the surface, this is a very easy question to answer. Yes, of course you can order for others. However, there are a few things to consider. At Advanced Affordable Hearing, it is our mission to help people hear better at an affordable price. That means we are not only trying to sell hearing aids, but we truly care about helping people as well. 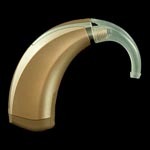 Hearing aids are a product that can be tremendously beneficial to a person that needs them. However, the most important part of that process is ensuring that the person that will be wearing them is 100% committed to wearing them. If they are not, there is a strong possibility that the hearing aids will not be used, and that defeats the purpose of buying them in the first place. 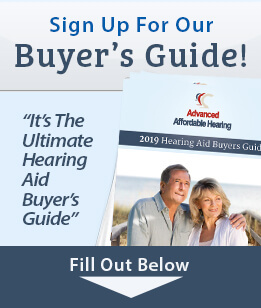 Therefore, in the spirit of trying to help as many people as we can, Advanced Affordable Hearing has created a blog along with a downloadable guide that helps people that are looking to buy hearing aids for others to speak to them about the purchase first. We provide tips to help overcome some of the challenges that you might encounter in regards to why people sometimes do not wear hearing aids even though they clearly need them. Click here to visit our blog How to Talk to Your Loved One About Hearing Loss. How do I troubleshoot my rechargeable hearing aid? If your rechargable hearing aid has stopped producing sound, there is a simple way to troubleshoot and discover if the problem can be easily resolved. Once your hearing aid is fully charged, turn your hearing aid on by pressing the program button for three seconds. Next quickly press the top of the volume rocker several time to ensure it is at its maximum volume. To learn where the HCR3 volume control and program button are located watch the video below. Place the HCR3 in the palm of your hand and close your fingers around it. Then hold the HCR3 close to your ear. If you hear a highpitched squeal the hearing aid is working. To learn how to clean your hearing tube watch the video below.